CHICAGO – Even Hollywood’s greatest storytellers couldn’t create a tale as wild as the past week of Gary Alan Coe’s life. 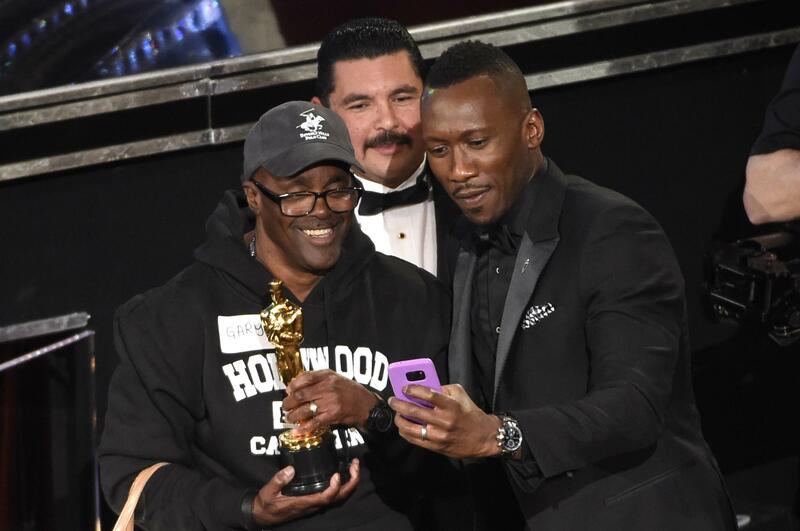 Coe – now known to the world as “Gary from Chicago” after he joined the Oscars telecast with a group of purported tourists – was released from prison just two days before appearing on the show. In fact, his release is so recent, he’s still listed as an inmate at a California prison. It’s unclear what crimes led to his imprisonment. His attorney, public defender Karen Nash, posted on Facebook that he had received a life sentence in 1997 for stealing perfume. In California, offenders convicted of multiple crimes can face harsher sentencing. However, voters approved a ballot measure in November that made some inmates eligible for parole once they completed their base terms. Coe, 59, won his freedom earlier this year and was released Friday, according to Nash’s post. A person who contacted the Tribune on Monday purporting to be Coe said he was holding hands with his fiancee while walking on Hollywood Boulevard on Sunday when he was asked by someone he thought worked with a tour bus company if he would like a free sightseeing tour. He said he had no idea one of the stops would be the Oscars when he boarded the bus with about a dozen other passengers. “When they opened the door, we were in the Oscars live,” he said. Coe quickly gained Twitter fame as he clutched his phone while meeting various celebrities, including Nicole Kidman and Ryan Gosling. When he revealed he is engaged, actor Denzel Washington “married” the couple near the stage. Coe’s daughter, Jacqui Williams, 36, a Chicago native who lives in Lafayette, Ind., said she did not see the initial telecast, but her phone was buzzing with messages early Monday morning. She said her father was born in Memphis, Tenn., and moved to Chicago at age 12 in 1969. He lived in the South Shore area before moving to the West Coast in 1992. She declined to comment about his time in prison. “He’s a really sweet, genuine, loving-type of dad. He’s the best. I’m proud of him,” Williams said. Coe was supposed to appear on “Jimmy Kimmel Live” Monday with others from the tourists sketch, but producers scrapped the bit because they “made the creative decision to focus on other topics” from the Oscars, a Kimmel rep said. The rep did not answer questions Monday about Coe’s background. Published: Feb. 28, 2017, 11:15 a.m.